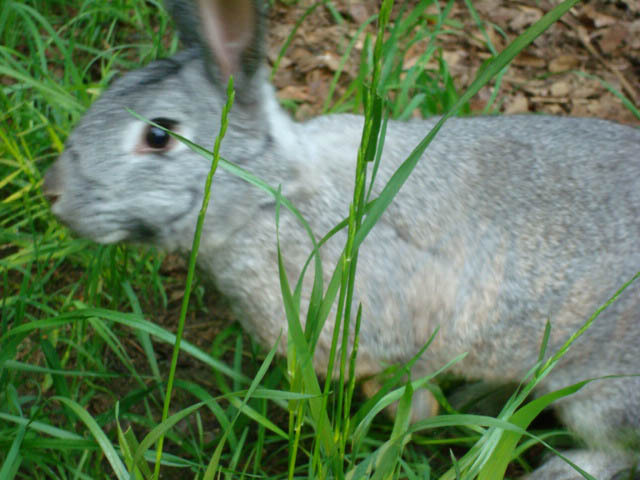 Virginia rabbits is your one-stop website for rabbits in Virginia. 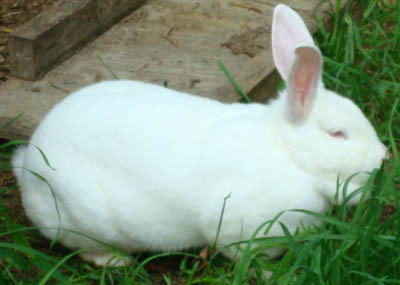 We regularly have New Zealands, Flemish Giants, hot tots, cotton tails, Polish, and Netherland Dwarfs available for the pet, meat, fur, and wholesale markets. Ask us about other breeds. We have locations in Central Virginia and the Tidewater area. For commercial orders, delivery is available. Mix first 10 ingredients together to make a marinade. Add rabbit pieces and store in refrigerator for 6 hours to 2 days. After rabbit has marinated, in a large pot, cook onions, mushrooms and bacon until onions are soft. Remove from pan and set aside. Remove rabbit from marinade and pat dry. Strain the marinade and save. Sprinkle salt over rabbit, dip in flour and brown in the butter. When all of the rabbit pieces are browned, return veggies and bacon to pan, pour strained marinade over rabbit and veggies. Cover and simmer until tender, about 1 hour. Remove rabbit from pan and place on a heated platter. Stir salt and flour into sour cream, add to sauce in pan and stir well. Pour sauce over rabbit and serve. I moved to the country 4 years ago from a place that had flowers almost year round. I really enjoyed having fresh flowers in the house for my own enjoyment and the pleasure of my guests. You would think that the country soil would produce bigger, better blooms, but for 4 years I couldn't grow ANYTHING. Not even grass. ...then I discovered the magic of rabbit poop. I have chickens and goats. They make poop, but it has to be composted and who wants to pile it up and let it sit a year before using it? (Not me). Maybe it's just as good, but I love the convenience of just throwing it down and watching it go! There is no smell. It's not hard to do. There is very little work. Just put it down and the worms and rain go to work. Now my yard is almost beautiful. I certainly enjoy it a lot more. Given a little time, I am sure it will be a magnificent place that birds, butterflies, bees, and people enjoy. I can't wait. And I owe it all to the little pooping, furry, lovely bunnies! Thank-you, bunnies!